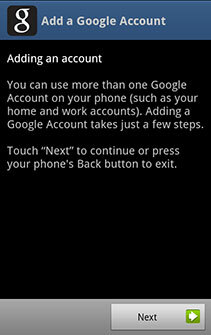 The following steps will walk you through how to setup your Google Apps Business email on your Android. 1. Go to Settings. 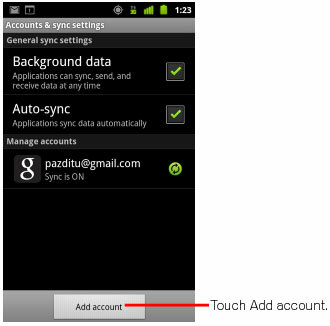 Press Accounts & sync. Press Add account. 2. 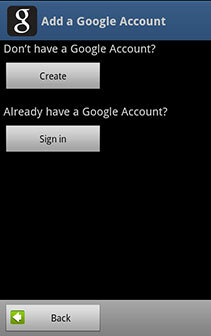 Press Google to add your Google Apps Business account. 5. Enter your full Google Apps Business email address as your username and then enter your password. 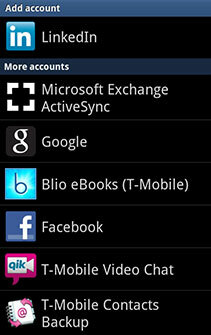 Select which services you'd like to sync.